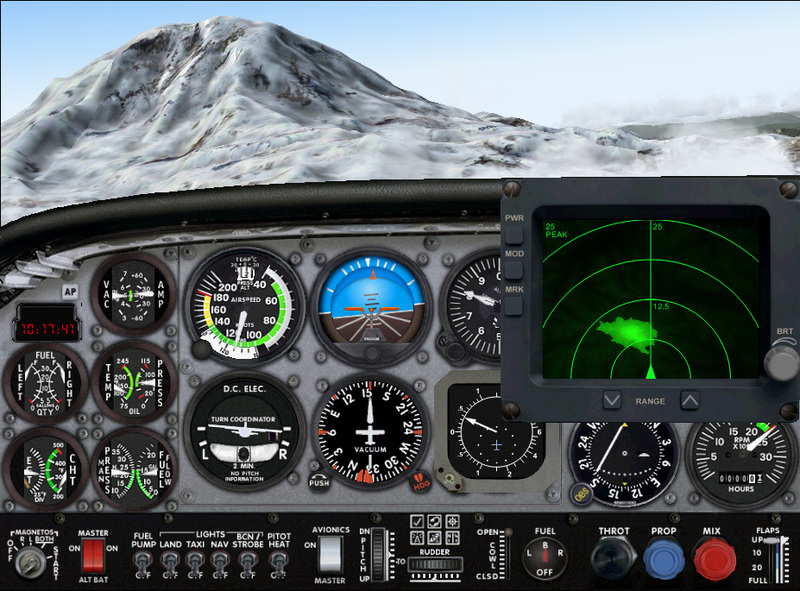 Terrain Map represents on monochromatic display a real terrain relief map before aircraft and can be used on "Bush Flying", approach in hard weather conditions at mountain airports or any other similar conditions..
Terrain map represents top-down, aircraft oriented view of the scenery terrain and could be zoomed by Range buttons. 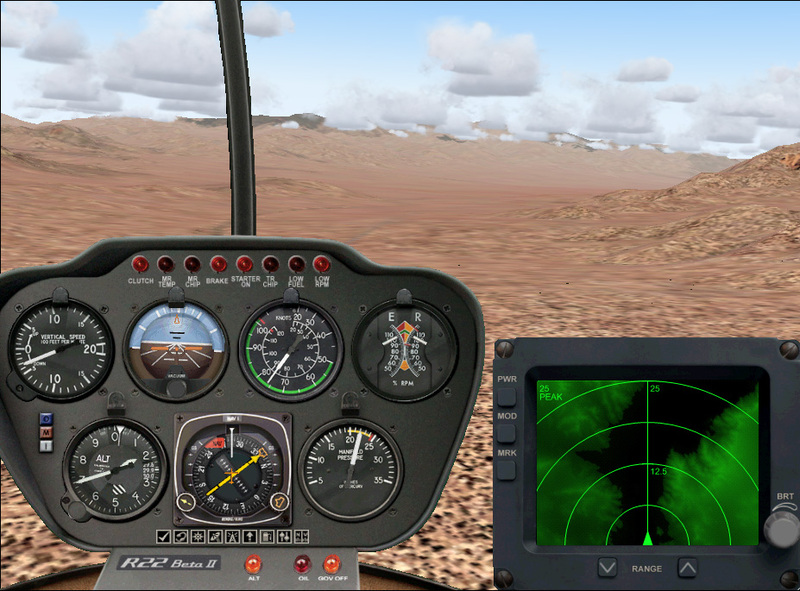 Terrain map have plain map (MAP mode) or highlighted terrain altitude peaks (PEAK mode). 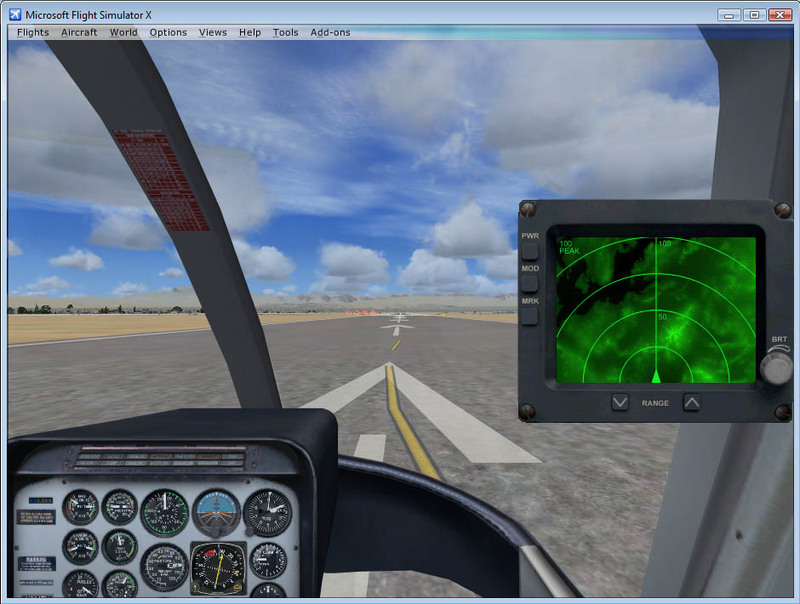 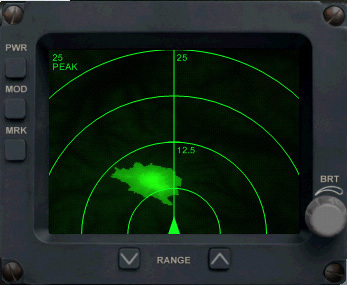 For safe flight use PEAK mode and follow to the dark areas on map (in PEAK mode dark area represent map from 300 feet below aircraft altitude, light area represent terrain altitudes above aircraft altitude). 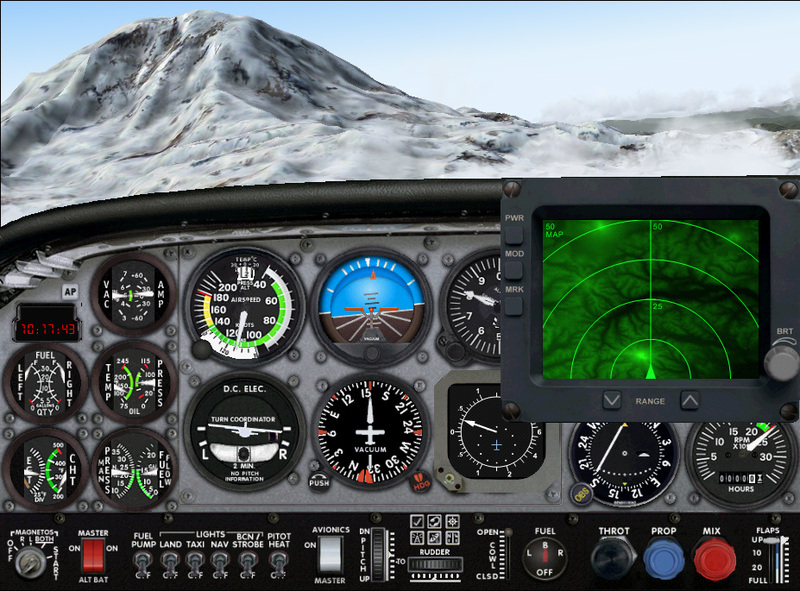 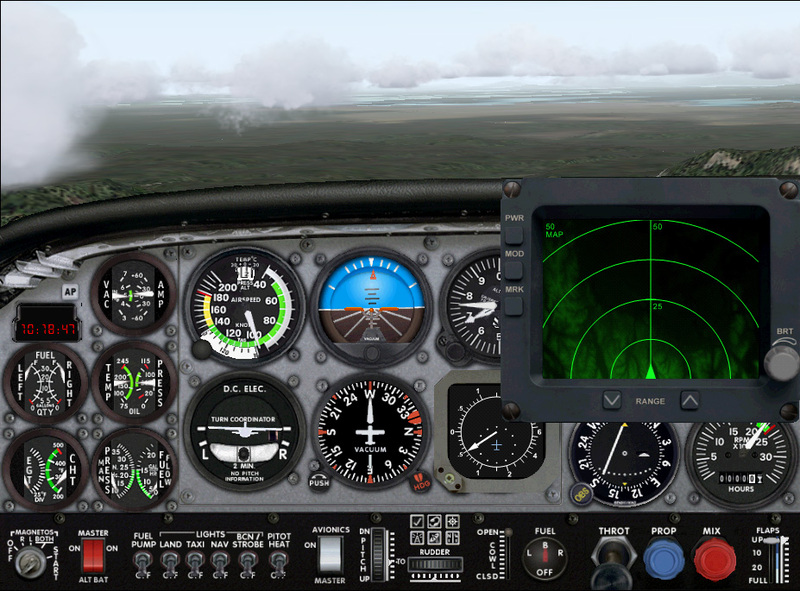 DBS Terrain Map presents special interface that provides ability to customize itself for different tasks, like implementation into simulator GPS or adapting to custom panel. 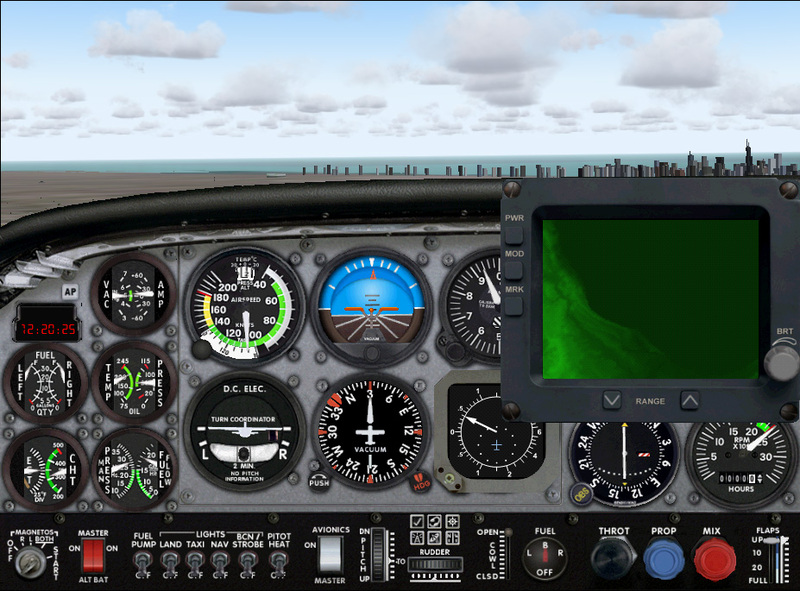 Screenshots DBS Terrain Map require email activation after installation.